The American College of Healthcare Executives of New Jersey (ACHENJ) is proud to announce the launch of #MyFellowWomen, our first ever women-focused advancement initiative. Earlier this year, we commissioned a study into the relationship between member gender and advancement to Fellow of the American College of Healthcare Executives (FACHE). What we found was that male members of the ACHENJ are significantly more likely to advance to Fellow than their female counterparts. Men are also more than twice as likely as women to reach the C-Suite – but when you compare members who have advanced to Fellow, the apparent gender gap in senior management is reduced by 30%. To address the disparity in advancement to FACHE and ensure that our female constituents have equal opportunity and representation in positions of senior leadership, we are setting forth a vision in #MFW to advance at least 20 women members by 2020. Over the next twelve weeks, our Board of Directors is committed to implementing a print and digital pledge to advance campaign, a needs assessment to identify barriers to advancement, and an all-female, all-Fellow governance structure to help lead the development of high-value programs, products, and services. We believe these steps are important and overdue, but also that they are only the beginning of the work that must be done in order to continue ensuring the equitable delivery of high-quality services to ACHE members all across the country. 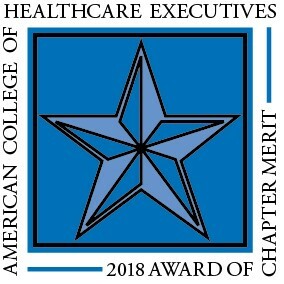 The ACHENJ has issued its very own #ChapterChallenge to help accelerate these efforts, asking more than 150 leaders from a network of nearly 70 chapters in the United States, Canada, and Mexico to respond to an international call to action to eliminate disparities in the advancement of healthcare executives and healthcare management excellence. ACHE chapters who accept the challenge are invited to do so by participating in the #MyFellowWomen Campaign. Read about the ACHENJ #ChapterChallenge here. More details about these important initiatives will be provided in the coming days and weeks. We deeply appreciate your membership and support of our Fellow Women.